After a few days of high winds and rain we took the opportunity to get out to the water and trails of Lighthouse Park in West Vancouver and bask in the sunshine. Our main tasks today in the garden was to aerate the compost, pull weeds and dead plants for composting, seeding cover crops and nitrogen fixing plants, adding leaves for winter protection and erosion control, harvesting potatoes and leeks, and planting garlic. This week we will make potato salad and potato leek soup with our bounty! After our return from the bowling tournament we had our annual visit from Vancouver Canucks Rod Brathwaite (Manager, Community Partnerships & Hockey Development). Rod was joined this time by Alfred De Vera (Media Relations) who was eager to meet and speak with our students. They left us with a gift of box seats for Dec. 26th game against the Edmonton Oilers. Thank you Canucks for this great opportunity! Canucks Rod Brathwaite (Manager, Community Partnerships & Hockey Development). Rod was joined this time by Alfred De Vera (Media Relations) spoke with our students. Today Streetfront participated in the 3rd Annual Alt. 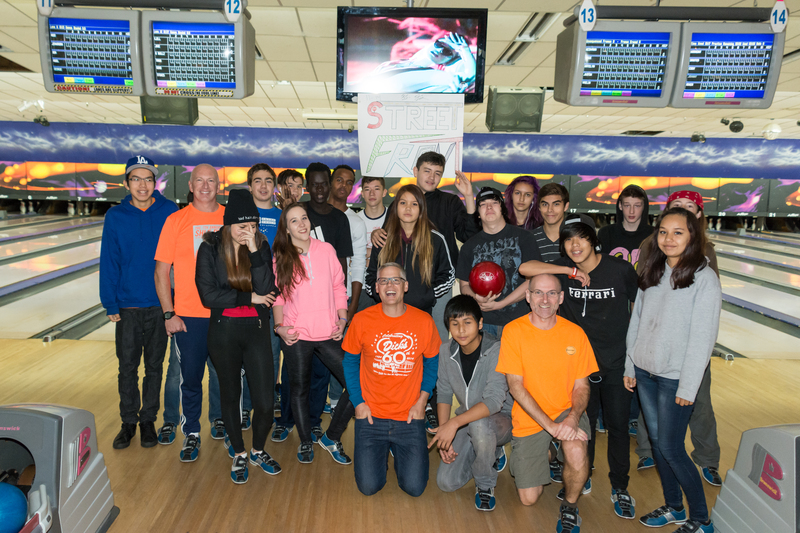 Bowling Tournament at REVS along with 10 other VSB alternative schools. While we didn’t win the Bergeron Cup we had several strikes, too many gutter balls to count and a lot of fun! Thanks to Foundation Alt. for hosting yet another fun tournament and congratulations to Outreach Alternative for winning the tournament!! I wish the general public can see these tournaments, the annual Arts Fair and Sports Days when Vancouver’s Alt. 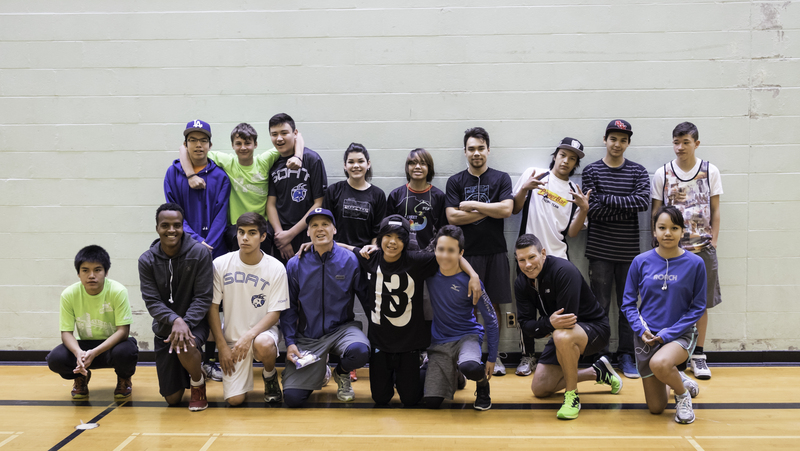 Schools come together because they would see a diverse, talented and energetic group of youth. 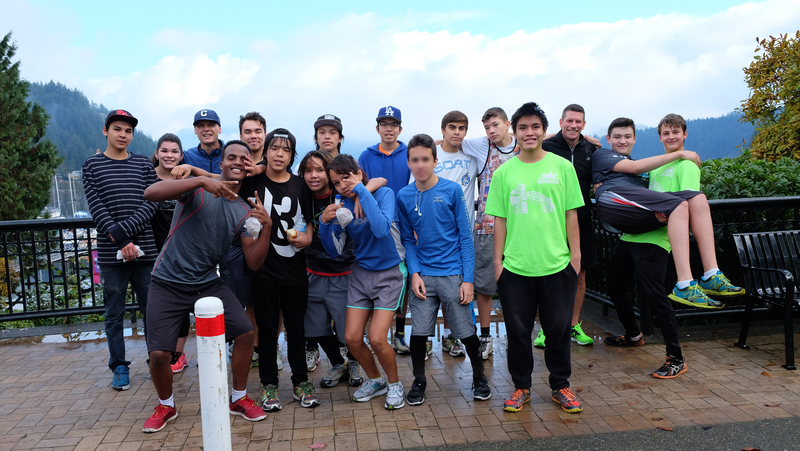 We had 16 youth (of a possible 28 for the Seattle Marathon) running the 19 km Deep Cove route today – and in record time too! Well done gang! Post-run group shot finding them still looking fresh. 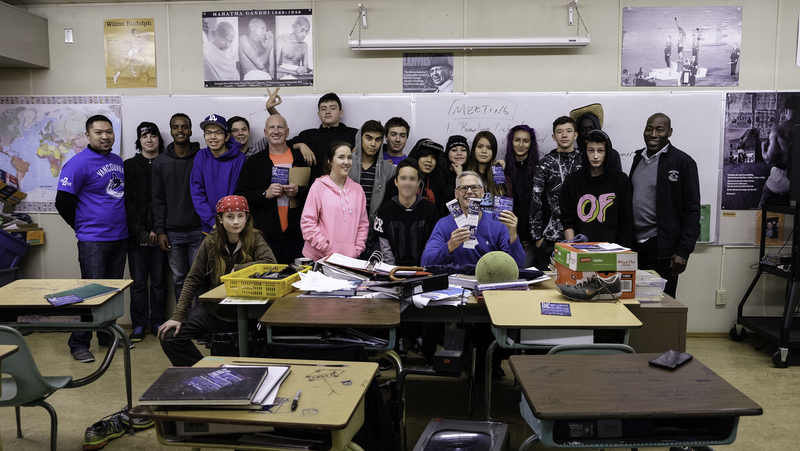 Contributing to Lives of Inner City Kids (CLICK) is a community-based, non-profit foundation that was initiated to help inner city children and youth in Vancouver. They are a great supporters of the students at Streetfront. They have produced this touching story highlighting a former students journey. Jessie does a great job in representing many of the challenges our student’s have and do face in their lives. Well done Jessie and thank you for representing your peers so well and sharing your story!